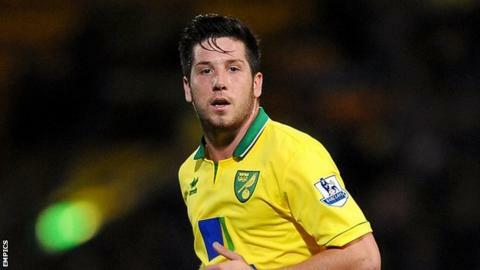 Championship side Crystal Palace have completed the signing of Norwich City midfielder Jacob Butterfield on a one-month loan deal. The 22-year-old left Barnsley to join the Canaries on a four-year deal in the summer but has been restricted to three appearances in cup competitions. Butterfield had a loan spell at Bolton Wanderers earlier this season, playing eight games. He could make his Palace debut against Bolton on Saturday. Butterfield, who was sidelined for over eight months with a knee injury this year, will remain at Selhurst Park until 19 February.